Mount Buller is one of Victoria’s most spectacular winter destinations. Its snowy peaks promise a selection of different ski slopes, pretty villages, and a whole host of fun ways to pass the time. Set in the middle of the stunning Shire of Mansfield, the alpine region really comes to life during the winter months, offering visitors lots of skiing experiences and other adventures to do on a Mount Buller tour. Here’s how to enjoy your time there. Mount Buller may well be a mountain set in the countryside of Victoria, but it still boasts a hearty collection of restaurants that serve every cuisine from doorstop burgers to local Australian fare and Asian delights. Many of the restaurants also boast incredible views across the mountainous landscape so you can enjoy the sights while tucking into your food. Despite its reputation as a winter destination, Mount Buller also has a rich heritage that dates back many years. There are plenty of tours you can take while in the area to learn about its past. As you’re exploring the region, keep your eyes peeled for the smattering of sculptures that are dotted around the mountain. Perhaps one of the quirkier aspects of Mount Buller is the collection of gnomes that are tucked away around the area looking out over the surrounding scenery. They provide a trail for visitors to follow that lead to a Gnome Home that’s set inside an impressive Mountain Ash tree. 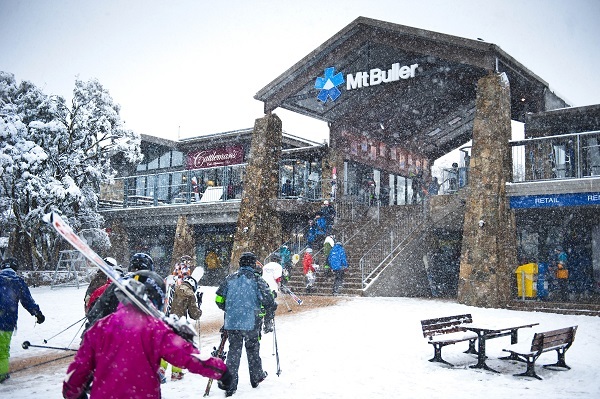 In the winter months, visitors flock to Mount Buller for its selection of snow-based adventures. There is a range of different level slopes, from gentle and easy to an adrenalin-pumping black diamond chute. This is a great way to explore the mountain from a unique and fun perspective. For something a little more relaxed than skiing or snowboarding, try snowshoeing. This unique way to get around provides a magical and laidback way to learn more about the landscape and its fascinating history. Going to the cinema halfway up a mountain might seem like an odd choice of activity, but Mount Buller is in fact home to Australia’s highest cinema. So when you’re all snowed out, why not warm up and check out a film? Mount Buller really is a magical place to explore. And, with so much to see and do, there’s a little something for everyone in this alpine landscape.